Elegant paper napkins, ideal for buffets or wedding canapés. 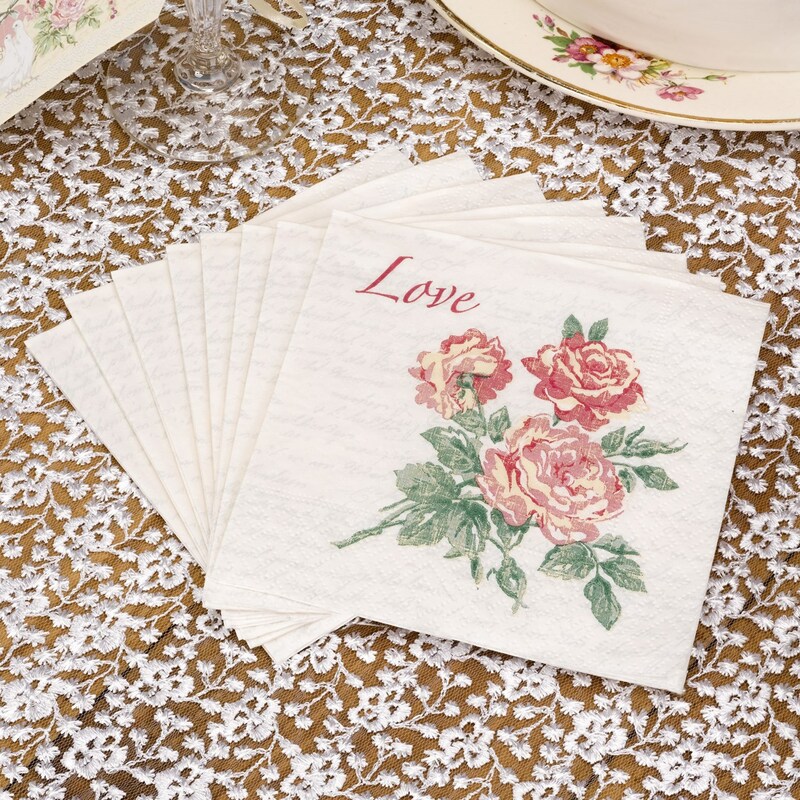 Part of the "With Love" range of table ware and decorative accessories, these elegant napkins feature a design inspired by old fashioned love letters. Pretty script covers an ivory background, alongside a vintage-style bouquet of red roses, a timeless symbol of true love. Made from durable 3-ply paper, these napkins are both a pretty and practical addition to your catering supplies.